Guillermo del Toro’s Pan’s Labyrinth is an exploration into the life of a young girl, Ofelia. Ripped from her home and forced into the world of her stepfather, Captain Vidal and the Spanish Civil War, she hides herself away in her books and fairytales. When she is told by a Faun that she is the Princess of the Underworld, she immediately leaps at the chance to prove that she’s not mortal in order to distract herself from the patriarchal and violent world around her. Every character in the film must decide what part they play in her story, whether they will obey their superiors or create their own path, whether they will see beyond their instructions or blindly follow orders. Symbolism of eyes and sight appear everywhere, guiding the audience through the film and raising questions about what it really means to see. 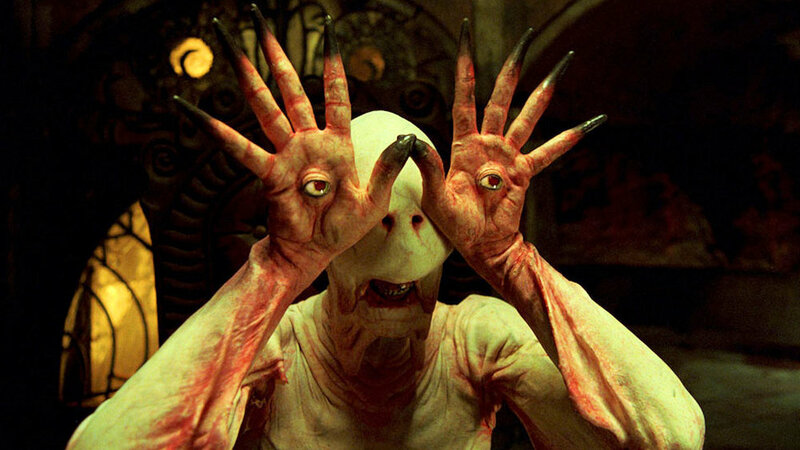 In Pan’s Labyrinth, only those who are able to open their eyes and not blind themselves with rage and make decisions beyond what they are expressly instructed to do are able to succeed. The film begins with a fantastical story about a Princess who lives in the Underworld realm who dreams of joining the human world. She escapes her captors, but as soon as she breaks out, the brightness of the sun blinds her. This is the first reference to both sight and obedience, as the Princess loses her sight as soon as she goes against her orders, and in doing so she loses her memory, suffers, and quickly dies. By introducing the viewer to the main story with a fairytale, this scene immediately sets the fantastical tone for the rest of the film, as well as making the audience aware of the themes of eyes and the cost of disobedience. 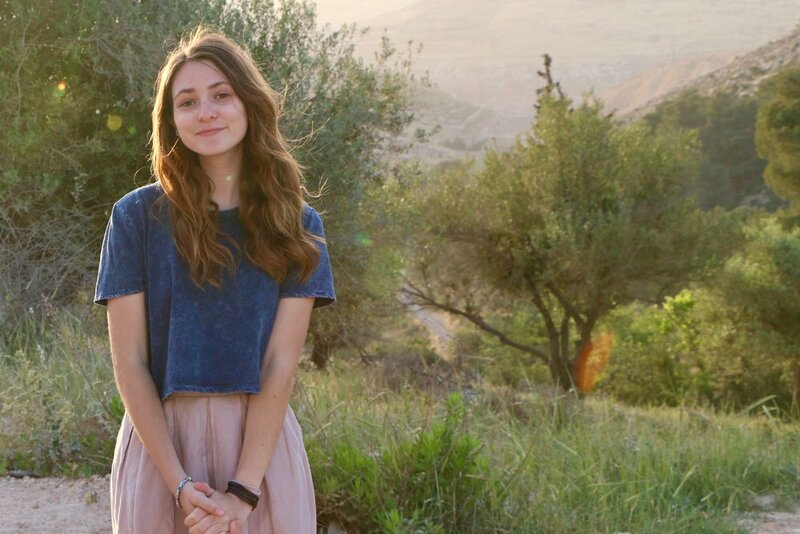 The movie then abandons the fairytale format and formally begins the story of Ofelia, the protagonist. While on the ride to Captain Vidal’s house, Ofelia's mother Carmen tells her daughter to stop looking at her fairytale books. Soon after, Carmen stops the car due to pregnancy nausea, and although Ofelia is instructed not to wander, she takes the opportunity to explore the nearby area. She comes across a statue, decrepit and somewhat hidden within the greenery surrounding it. Ofelia finds a stone eye on the ground and fits it into the statue, as if it was a puzzle piece. This action begins her fantastical journey, as it brings forth an insect that appears from the statue, an insect which later morphs into a fairy and guides her to the faun. This unexpected and life-changing incident would never have occurred if Ofelia followed directions and stayed by the car. She disobeys, which may end badly as it did to the Princess in the prologue, but for now it is merely driving her story forward. Ofelia’s returning of the eye references the myth of Horus’ eye being restored by Thoth in ancient Egypt. The right eye is associated with factual information and logic, normally seen as the male side of the brain, while the left eye of Horus distinguishes the spiritual and mystical, noted as the female side of the brain. By returning the left eye (left to the audience and Ofelia), Ofelia is inserting her female and mystical presence into the male dominated world that she is currently living in, achieving the important balance that is needed to begin her journey and eventual transformation. Despite Captain Vidal trying to enforce his ideals and rules on Ofelia, she begins her journey for the faun to prove her place as royalty. In one of her tasks, she must visit the Underworld and take a knife from a room filled with red food and a gruesome creature with eyes on his hands. She was given express instructions not to eat anything, but she ate a few grapes anyway, awakening the “Pale Man.” The Pale Man is most likely designed after the Japanese legend of the Tenome. Tenome was a blind man who was murdered by a mugger and became an angry ghost--so furious that he lost his eyes, but new ones grew back on his hands. He sought revenge on his murderer, killing everyone that he could lay his hands on, without even seeing who it is. Tenome’s intense anger rendered him forever figuratively blind (Scary for kids). The Pale Man is the fantastical reflection of Captain Vidal, a man who will kill whoever gets in his way in his quest for ultimate power and triumph, with an indifference towards children and the innocent. This is another example of how only those who are open to seeing the world around them, those who are not trapped in their own obedience and rules, will be successful. Ofelia breaks the rules, but it is her ability to create her own path and escape from the Underworld that allows her to triumph over the Pale Man in this situation, while he stumbled through the corridors, literally following her blindly. The imagery of Ofelia running away from the Pale Man is repeated later in the film, the the doctor Ferriero disobeys Captain Vidal’s orders and walks away from him. Ferriero euthanizes a rebel soldier that Vidal has captured, helping the captain realize where his allegiance really lies. Vidal turns to the doctor and says, “I don’t understand, why didn’t you obey me?” Ferriero responds saying, “To obey without thinking, just like that, that’s something only people like you can do.” With that, the doctor walks away, and Vidal shoots him in the back as he walks. Before he collapses, Ferriero takes off his glasses. Ferriero’s glasses can be seen as a metaphor for his character, as they hide his eyes, and therefore his true self, as he pretends to be a loyal friend to Captain Vidal while secretly working for the rebels. As well, his glasses act as a physical barrier between Vidal and himself as well as a protector of his eyes, which Hamilton believed to be “the windows to the soul.” When Ferriero is shot, he remains calm and collected, accepting his fate and not giving into the blinding anger that Vidal and the Pale Man possess. The act of taking off his glasses symbolizes that he no longer needs to maintain the illusion of obedience, and finally everything is honest and his eyes are clear. The Captain is similarly shown wearing glasses at point, although his glasses are sunglasses, making it so they obscure rather than illuminate. His vision, just like his behavior, is disruptive and effectively self-destructive. When the film is nearing its end and everyone is exposing their true selves, Ofelia is given the most difficult task of all: taking blood from an innocent, her baby brother. She steals him from Captain Vidal and takes him into the labyrinth with the knife from the Pale Man’s room in the Underworld. Ofelia drugs Vidal, so as he chases her, he literally cannot see. His vision is blurred and he cannot cannot make his way through the maze; his violent behavior and obsession with rules and obedience has blinded him. This time, Ofelia is directly involved in the removal of sight. As the labyrinth twists and turns letting her through, she makes it into the center, where the Faun is waiting for her. Vidal follows her there, but he cannot see the Faun. Again it is clear that Ofelia is the only one with perfect sight, which gives her the ability to make the “right” choices. Instead of taking the blood of her brother, she sacrifices herself. Her blood spills into the Underworld portal due to the bullet that the Captains shoots her with, and she is finally made the Princess that she dreamt of being. She is rewarded for her innocent disobedience by clarity. All the characters who disobey eventually triumph, even in their death. Ofelia becomes Princess of the Underworld, Mercedes (Vidal’s housekeeper) has the Captain killed, and the doctor Ferreiro helps the rebels and grants a peaceful death to his friend. Vidal, the man who believed in a strict following of orders, is the only man who is truly defeated. With his wife dead, child stolen by the rebels, soldiers shot, home-base bombed, and life taken, he has nothing. Ofelia, on the other hand, is the prime example of the opposite. She follows through and completes all the tasks that the Faun gives her, but what makes her different is her ability to do them in her own way. The balance that she creates in the beginning through the eyes of the statue, the harmony of logic and dreams, realism and fantasy, masculinity and femininity, stays with her through the movie, allowing her to be the only character that has the ability of true sight. She perceives everyone for who they truly are, forging her own path, and is literally the only character who sees both the violent world of war-ridden Spain and the mystical world of the Faun and the fairies. Ofelia lives up to the words inscribed above the labyrinth, “in your hands, lies your destiny,” as she refuses to follow the orders of anyone--her mother, Mercedes, Vidal, or the Faun. She creates her own destiny, something that is only possible with clear eyes, something that the anger of the other characters doesn’t make possible for themselves.